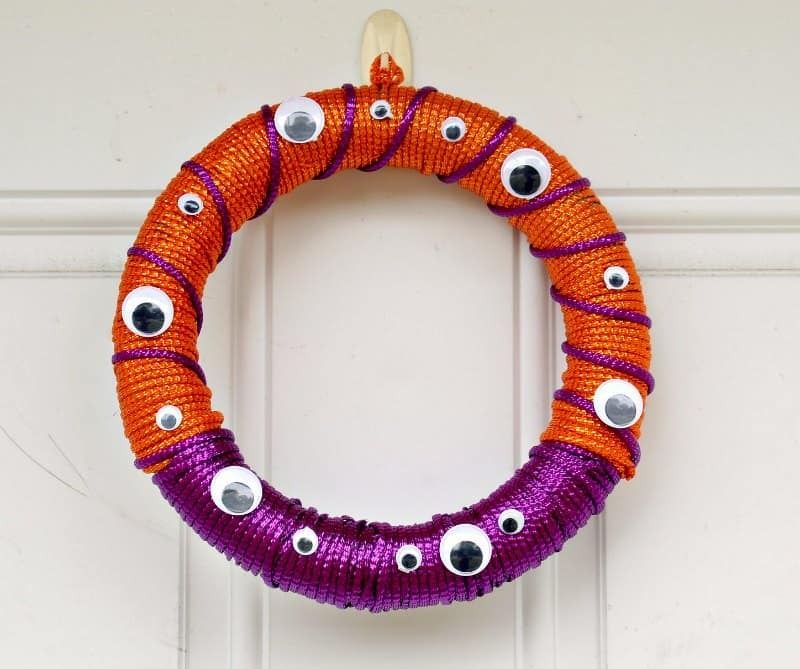 Add a fun googly eyes wreath to your front door for Halloween! 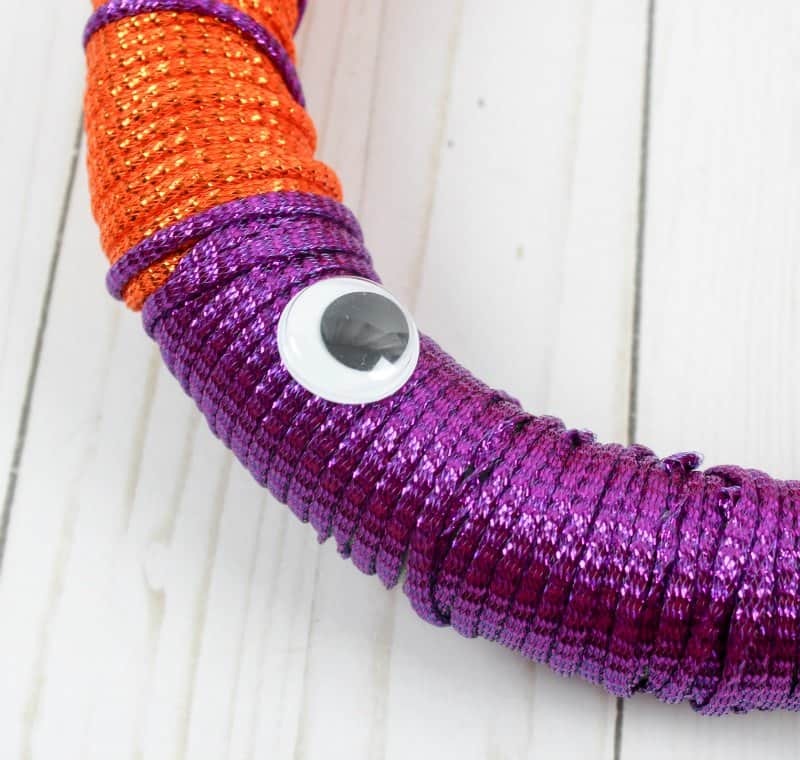 Quick and easy to make, this googly eye craft is perfect for kids! It's officially October which means in our home, the fall and Halloween decorations can finally come out of storage. It's usually still 100 degrees here in Vegas in September so I always wait until October to declare it “fall” – even if it is still 90 degrees. Don't you just love all the googly eye crafts and recipes that have become popular for Halloween over the last few years? I'm seriously obsessed! But this our first googly eye craft ever! 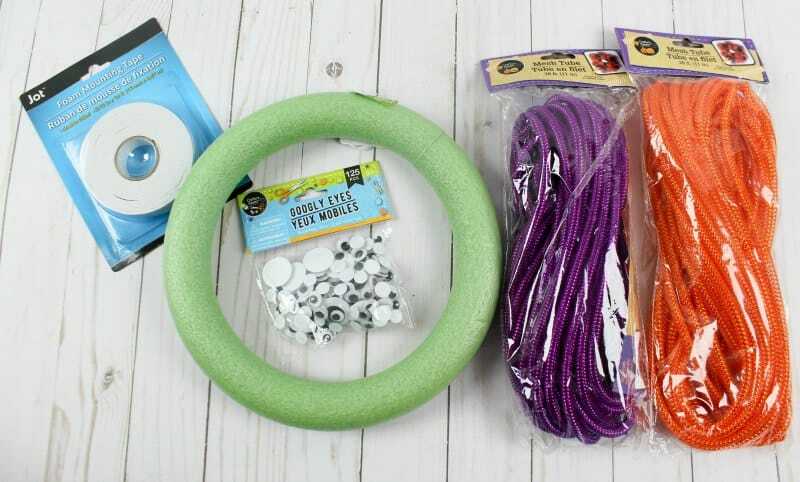 This Halloween wreath is super easy to make so it's a great craft project for kids. Plus it's inexpensive to make. You can grab these online, at a craft store, or the dollar store. 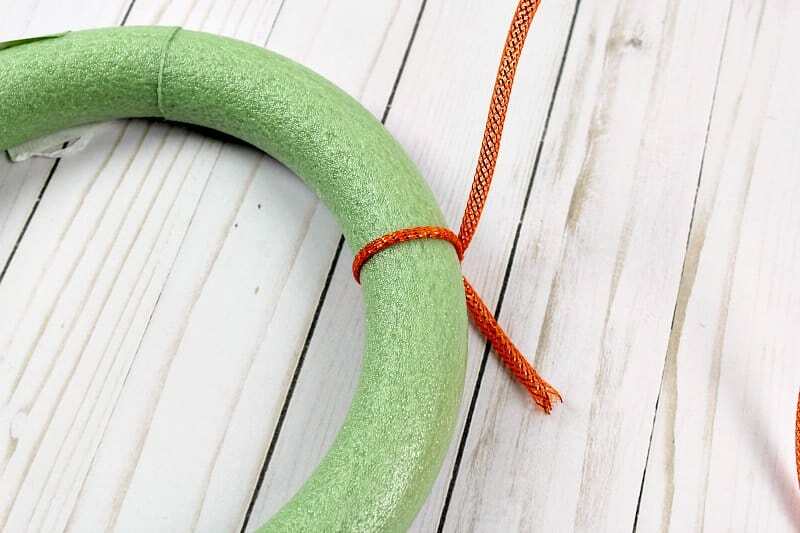 We used a 10″ wreath form for this craft, but you can use a bigger or smaller one. Just make sure to get enough of the mesh tubing if you get a bigger wreath. Wrap the end of the orange mesh tubing on the wreath and tie a knot. Continue to wrap the tubing around the wreath until it's completely gone. It will only cover a little more than half. 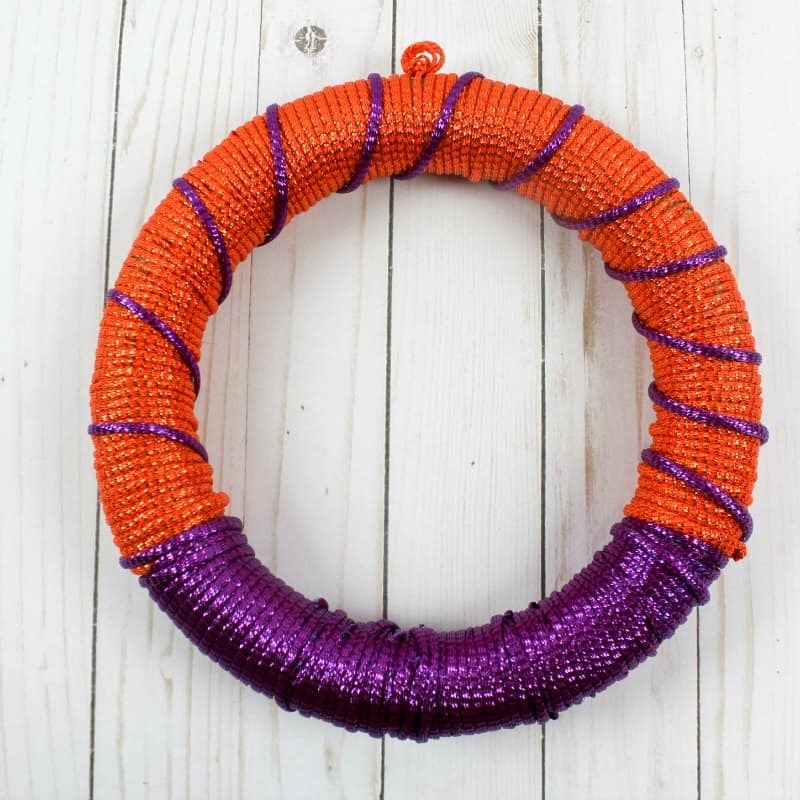 Do the same with the purple mesh tubing at the bottom of the wreath. You will have extra tubing – you can cut it off or wrap it around the orange part a bit like I did. The next step is to attach the googly eyes to the wreath. We used the mounting tape to attach the googly eyes. But you could also use hot glue or Sticky Dots to attach the eyes. Just make sure to use something that attaches the eyes quickly. 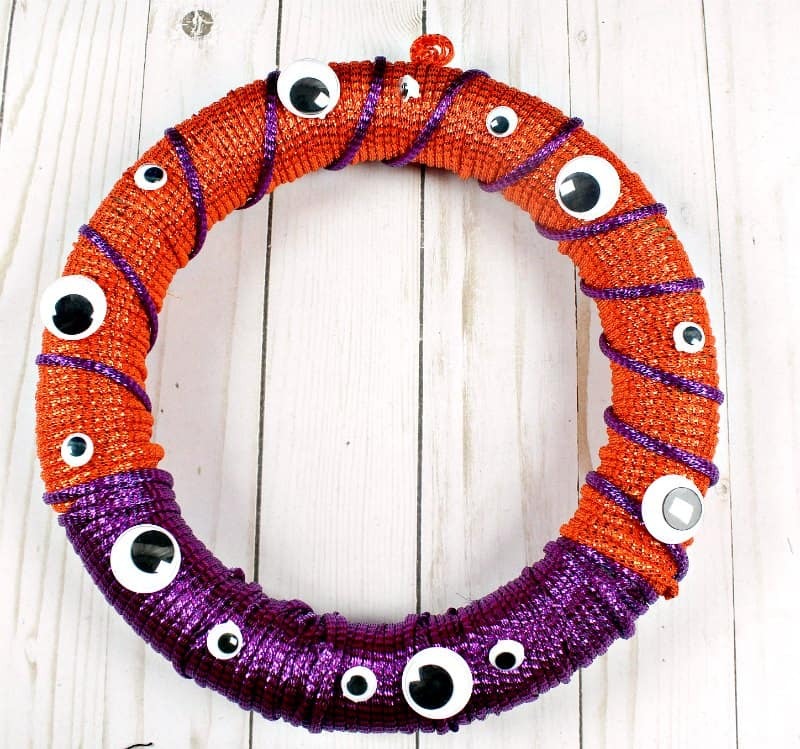 Continue adding the googly eyes to the wreath until you love how it looks. 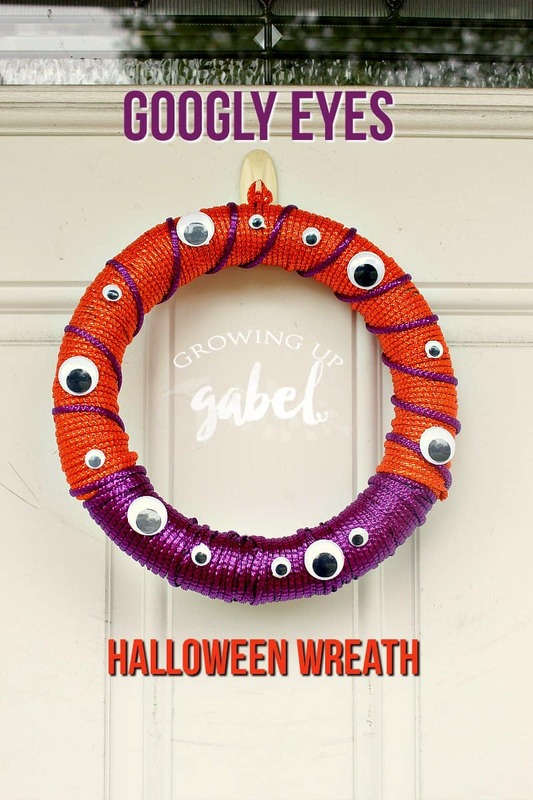 You can use a lot of them or even just use two gigantic googly eyes on the very top or bottom of the wreath. Have fun with it! We used a pattern of big eye, small eye but I think it could still use more googly eyes. Can you ever have too many? Thanksgiving Printable: Turkey Toes FREE Printable! 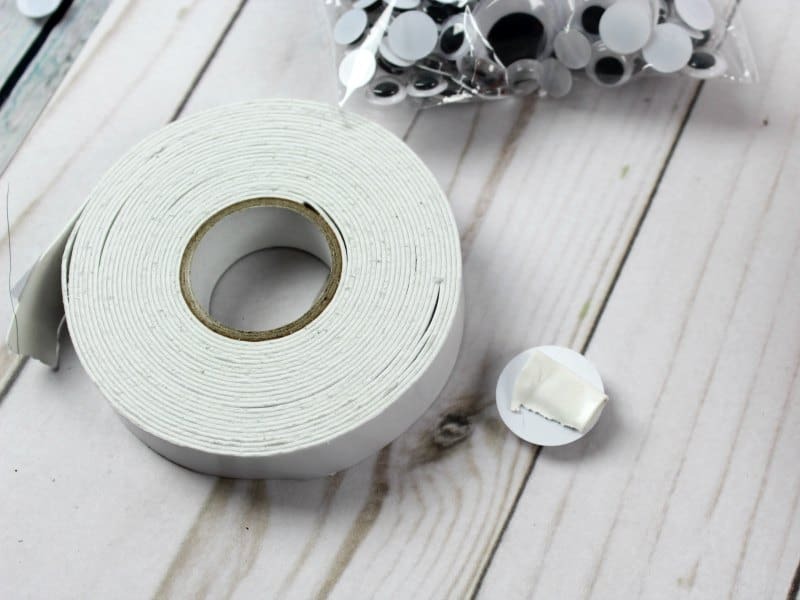 I love the idea of using mesh tubes for a wreath. 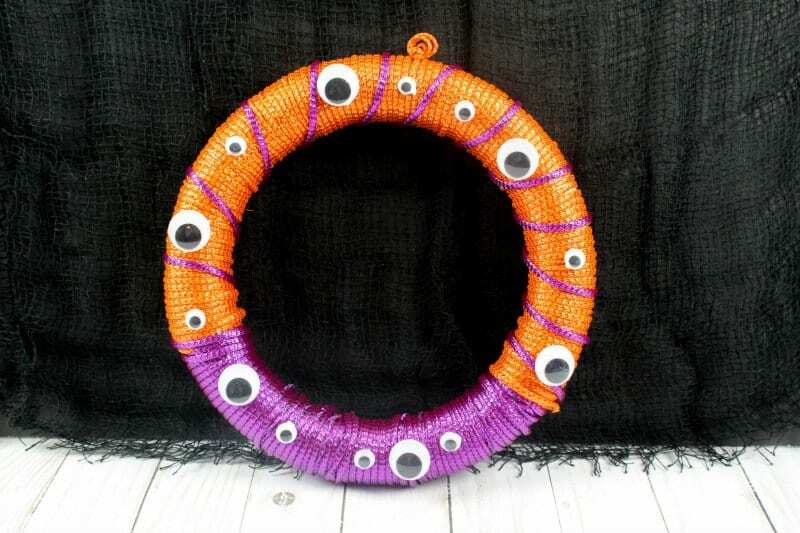 Your Halloween wreath looks awesome! Thanks for sharing at the Halloween Link Party. Pinned. Cute and spooky! Love the color combos. Visiting from Happiness Is Homemade party.